Warmlite has very experienced Sales Consultants that will always give you best advice on any our double glazing services in our range without any pressure or obligation. We thrive on recommendations from our many, many happy customers in Surrey and we want you to join them. 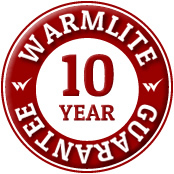 Replacement double glazing specialists, Warmlite in Surrey have the solutions for those looking for quality UPVC, Aluminium and Timber replacement double glazed windows, doors and conservatories. With many years’ experience in home improvement, we have the knowledge and expertise to handle the design, manufacture and installation of replacement double glazed windows and doors, and can also provide conservatory and orangery extensions. For further information about our uPVC double glazing installation in Surrey, repairs and replacement , a free site survey with a no obligation quotation or to arrange an appointment.